Life and Death in Pompeii and Herculaneum is the British Museum’s new temporary exhibition of artefacts from Pompeii and Herculaneum, ancient Roman cities buried by the volcanic eruption of Mount Vesuvius in AD79. Uniting hundreds of objects from both Pompeii and Herculaneum, the show largely focuses on the daily life of these ancient cities. The rich and varied collection ranges from beautifully preserved garden courtyard walls to the fascinating minutiae of Roman life; a room dedicated to food and drink contains a carbonised loaf of bread which still bears the baker’s stamp, and there is even a study of Herculaneum’s drains which was used to determine the eating habits of its residents. 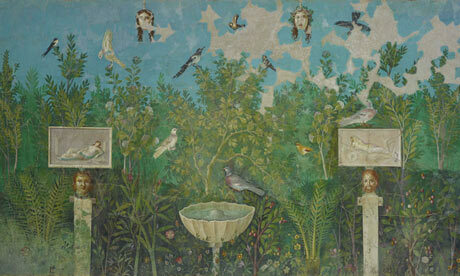 The mosaics and frescoes recovered from the archaeological sites are a reminder of the love of decoration and personal expression that we share with the ancient Romans; the portrait of the baker Terentius and his wife, with both figures holding writing materials to show off their literacy, echoes a modern graduation photograph, and the frescoed trompe l’oeil garden room from Pompeii conjures up an attitude to private leisure and a classical style that are enduringly popular (though nowadays we might prefer to forgo the decapitated heads). 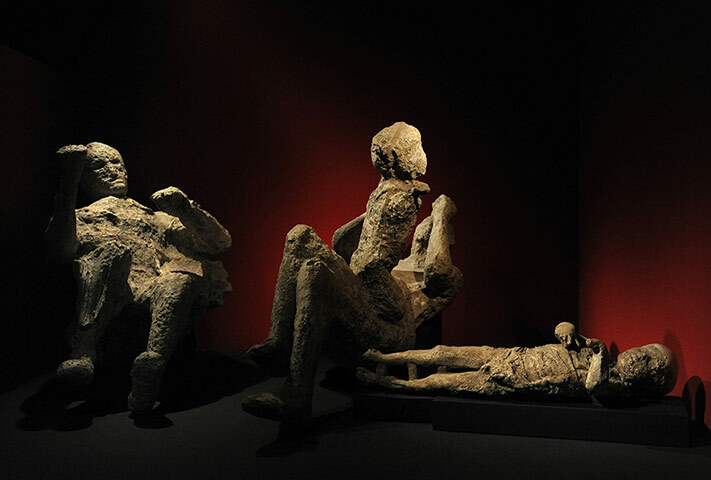 A final, smaller part of the exhibition is dedicated to the deadly eruption of Vesuvius and the archaeological casting process of the victims’ bodies. Recreated in plaster or resin from hollows discovered in the structures of the ancient cities, a number of casts of the bodies of those who died from extreme heat, twisted in pained and terrified poses, are included in the exhibition. 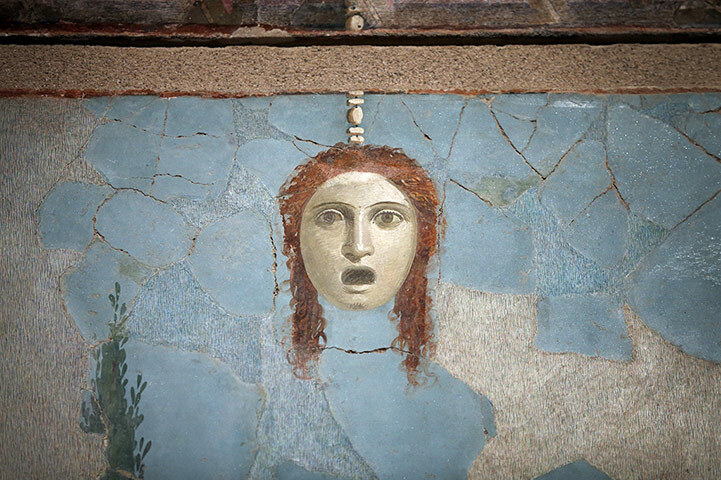 The history of Mount Vesuvius’s eruption is of course widely known, but this exhibition offers something new for modern UK audiences by showing that the residents of Pompeii and Herculaneum were not unlike us in their tastes or daily habits, making the tortured body casts all the more evocative. The exhibition is open until 29 September and advance booking is essential.